Fig. 1. 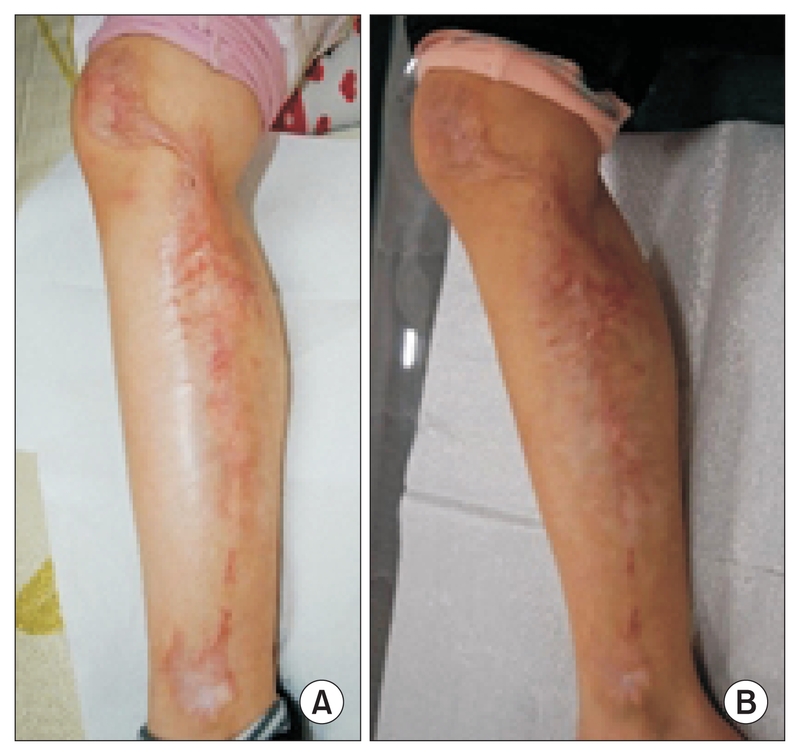 Photographs of a 10-year-old female prior to treatment (A). After 16 session of treatment (B).